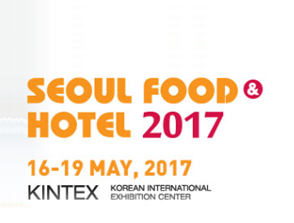 From May 16th to 19th we have been present with our wide range of meat and processed pork products at Seoul Food & Hotel. This show, which has been held in the KINTEX area of the South Korean capital, is the best gateway to introduce Costa Brava Foods companies to importers and restaurateurs from that country. Korea, the 13th largest economy in the world, offers excellent opportunities to our companies. Seul Food & Hotel has added more than 50,000 visitors and 1,500 exhibitors from different business areas in the nearly 100,000 square meters of the exhibition. The Costa Brava Foods team brought to its stand developments and food solutions for the hospitality and distribution of that country, adapted both to the taste of the Asian market and to our traditional Mediterranean flavors. The companies of Grup Cañigueral are Frigorifics Costa Brava, Coopecarn, Far Ham Serrano, Monter and Frescos Delisano.